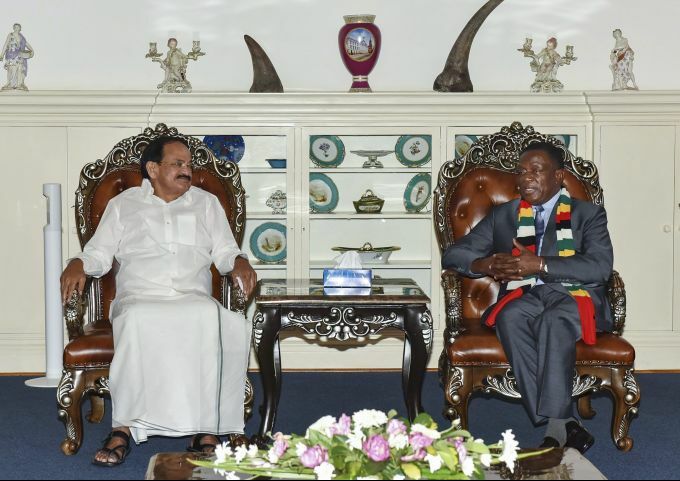 Harare: Vice President, M. Venkaiah Naidu and President of Zimbabwe, Emmerson Mnangagwa during a meeting in Harare, Zimbabwe, Saturday, Nov 3, 2018. 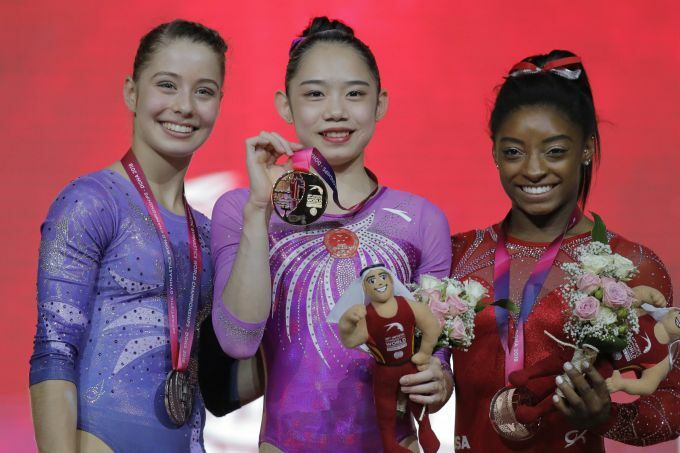 Doha: China's Liu Tingting, center shows her gold medal as she poses with Canada's Anne-Marie Padurariu, left and silver medal, and Simone Biles of the U.S., right and bronze medal, after performing on the balance beam on the second and last day of the apparatus finals of the Gymnastics World Championships at the Aspire Dome in Doha, Qatar, Saturday, Nov. 3, 2018. 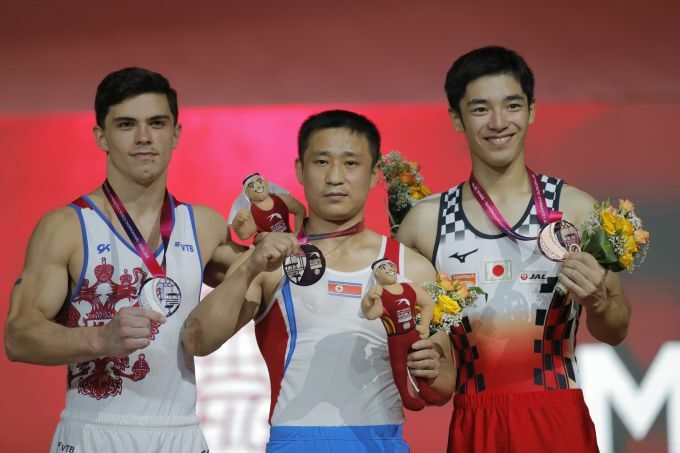 Doha: Gold medalist Se Gwang Ri of the Democratic People's Republic of Korea, center, silver medalist Russia's Artur Dalaloyan, left, and Japan's Kenzo Shirai, right, pose after performing on the vault on the second and last day of the apparatus finals of the Gymnastics World Championships at the Aspire Dome in Doha, Qatar, Saturday, Nov. 3, 2018. 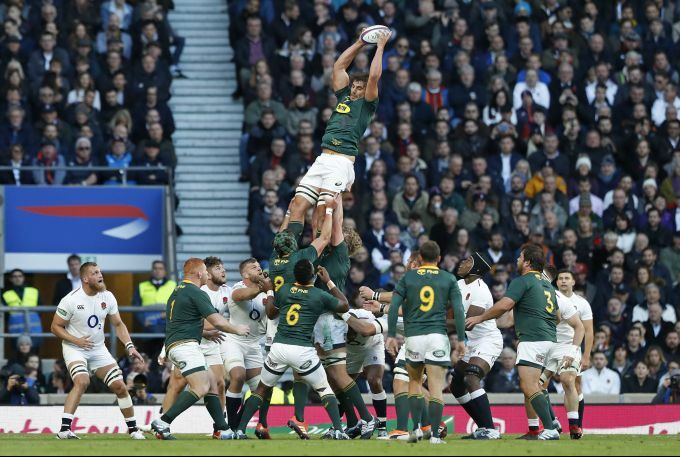 London: South Africa's Eben Etzebeth wins a line out during the rugby union international between England and South Africa at Twickenham stadium in London, Saturday, Nov. 3, 2018. 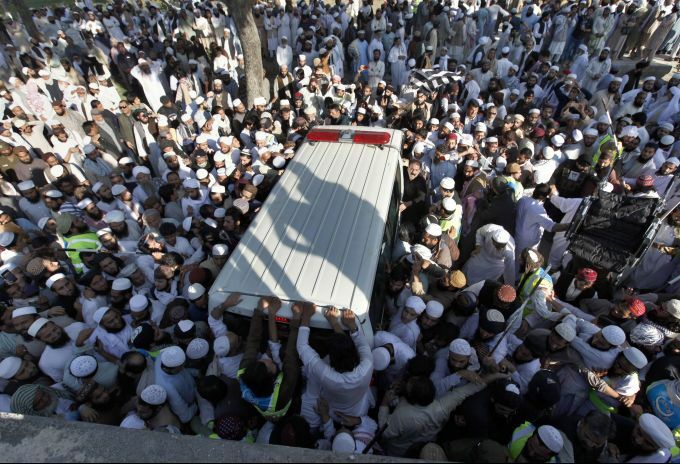 Akora Khatta: Mourners gather around an amulance carrying the body of prominent Pakistani cleric Maulana Samiul Haq for funeral at his hometown Akora Khattak, some 123 kilometers (77 miles) northwest of Islamabad, Pakistan, Saturday, Nov. 3, 2018. Thousands of mourners have attended funeral of the prominent Pakistani cleric Haq, who was killed in a knife attack at his home in the garrison city of Rawalpindi.